As we thought, yesterday's volume was very low – it was actually the 2nd lowest day of the year, that didn't stop the Nikkei and the Hang Seng from following us up half a point but Shanghai was flat at 2,008, dropping 10 points from its pumped up open and I'm sorry but you are NUTS to be too bullish in this market when that index is in danger of failing 2,000. I don't mean not bullish at all – our LTP is still 100% bullish but it's hedged by the STP, which is mostly bearish. Just – BE CAREFUL!!! restore a vital ingredient of his economic revolution: optimism." That's the World we're living in now – Central Bankers aren't even ashamed to admit that they manipulate the news and take actions aimed at making you THINK the economy is recovering. That's based on the old "truism" that, if people are optimistic, the economy will improve but it's FLAWED because consumers no longer have any discretionary income to spend and they don't have any savings and small businesses, who still employ 80% of the workers, don't have any money to spend either. They have shifted the bulk of the discretionary GDP to the top 0.01% who don't spend it at all but use it to consolidate their empires. All these old economic rules don't apply to an oligarchy – every act of stimulus only serves to make the rich richer and push the rest of the country further into debt. 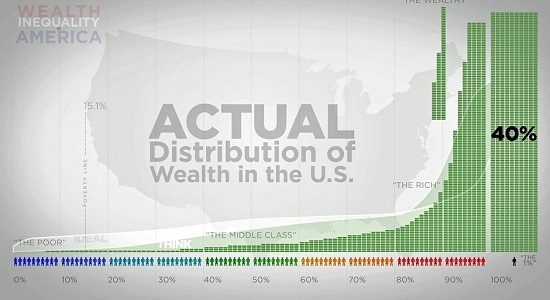 Sure, the rich are in debt too but a guy with $1Bn owes the same $164,000 per family as the guy with $100,000 does. “Fascist regimes almost always are governed by groups of friends and associates who appoint each other to government positions and use governmental power and authority to protect their friends from accountability. It is not uncommon in fascist regimes for national resources and even treasures to be appropriated or even outright stolen by government leaders." As reported on HuffPost last week, Treasury Secretary Timothy Geithner has expressed opposition to the possible nomination of Elizabeth Warren to head the Consumer Financial Protection Bureau, according to a source with knowledge of Geithner’s views. 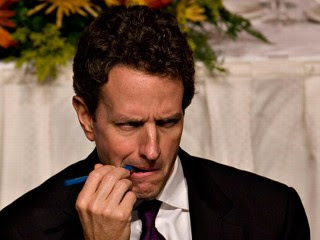 One can assume that Geithner, being very close to the nation’s biggest banks, is concerned that Warren, if chosen, will exercise her new policing and enforcement powers to restrict those abusive practices at our commercial banks that have been harmful to consumers and depositors. Certainly, Warren is not the commercial banking industry’s first pick to serve in this new role. And unlike other legislation in which an industry’s lobbying effort would naturally slow or cease once the legislation is passed, the new financial reform bill is continuing to attract enormous lobbying action from the banks. The reason is simple. The bill has been written to put a great deal of power as to how strongly it is implemented in the hands of its regulators, some of which remain to be chosen. The bank lobby will work incredibly hard to see that Warren, the person most responsible for initiating and fighting for the idea of a consumer financial protection group, is denied the opportunity to head it. But this is not the only reason that Geithner is opposed to Warren’s nomination. I believe Geithner sees the appointment of Elizabeth Warren as a threat to the very scheme he has utilized to date to hide bank losses, thus keeping the banks solvent and out of bankruptcy court and their existing management teams employed and well-paid. Senate Dems are making the final push on financial reform this week, but will big banks really change the way they do business? Or will we still be pawns in a game rigged in their favor? I caught up with Elizabeth Warren to talk about the need to reform Wall Street culture, the pernicious influence of bank lobbies, and the debt-fueled threat to America’s middle class. **Warren will discuss these issues and more at this weekend’s Hamptons Institute symposium, sponsored by Guild Hall in collaboration with the Roosevelt Institute (details below). 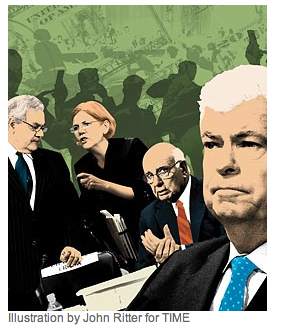 LP: Has the financial crisis changed the culture of Wall Street? EW: I would have expected the financial crisis to sweep through Wall Street like a hundred-year flood — wiping out old business practices and changing the ecology profoundly. So far, the financial services industry has seemed to treat the crisis like a little rainfall — inconvenient, but no significant changes needed. The real question moving forward is how the industry will respond to Wall Street reform and growing public anger. Will it react to all the new cops on the beat just by hiring more lobbyists? Will it continue to spend $1.4 million a day to beat back anything that could mean more accountability and oversight? Or will the financial services industry finally begin to rethink its business models, lobbying approach, and attitude toward the public? LP: Have unregulated financial products slowed our economic recovery? Let me put it differently: meaningful rules in the consumer credit market can accelerate economic recovery, I really believe that. 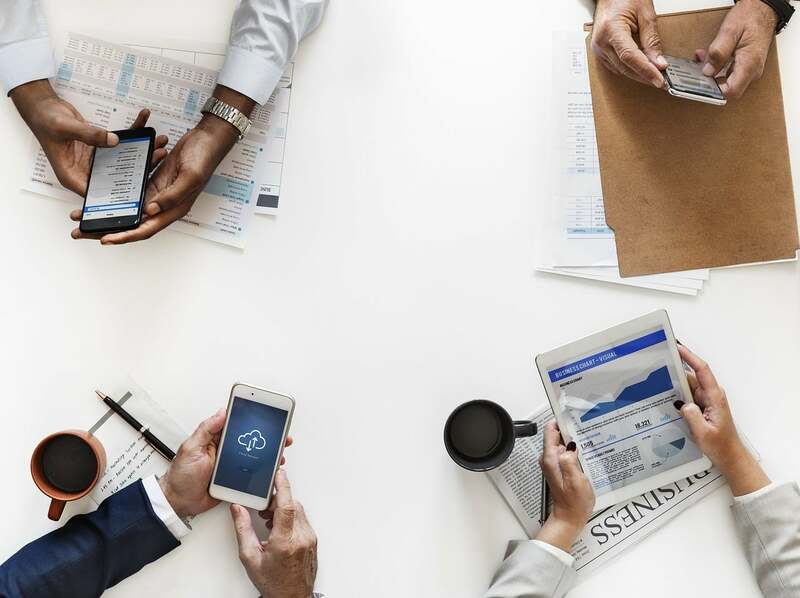 Rules would increase consumer confidence and, more importantly, weed out all the tricks and traps that sap families of billions of dollars annually. Today, the big banks churn out page after page of incomprehensible fine print to obscure the cost and risks of checking accounts, credit cards, mortgages and other financial products. The result is that consumers can’t make direct product comparisons, markets aren’t competitive, and costs are higher. If the playing field is leveled and the broken market fixed, a lot more money will stay in the pockets of millions of hard-working families. That’s real stimulus — money to families, without increasing our national debt. The following is an abridged version of an article that appears in the July 12, 2010, print and iPad editions of TIME. Two weeks ago, along a marble corridor in the Rayburn House Office Building in Washington, I watched about 40 well-dressed men (and two women) delivering huge value for their employers. Except that we, the taxpayers, weren’t employing them. The nation’s banks, mortgage lenders, stockbrokers, private-equity funds and derivatives traders were. Since 2009, the Private Equity Council has paid Capitol Tax, which has eight partners, a $30,000-a-month retainer to keep its members’ taxes low. 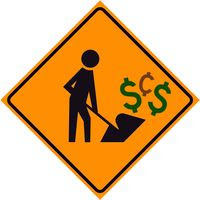 Counting fees paid to four other firms and the cost of its in-house lobbying staff, the council reported spending $4.2 million on lobbying from the beginning of 2009 through March of this year. Now let’s assume it spent an additional $600,000 since the beginning of April, for a total of $4.8 million. With other groups lobbying on the same issue, the overall spending to protect the favorable carried-interest tax treatment was maybe $15 million. Which seems like a lot — except that this is a debate over how some $100 billion will be taxed, or not, over the next 10 years. There are a lot of reasons to like the idea of a consumer financial protection agency. My colleagues Barbara Kiviat and Michael Grunwald have made the more substantive ones here, here and here. But I think I have stumbled across possibly the most telling data point yet on why the CFPA is likely a good idea: Jamie Dimon is scared of debating Elizabeth Warren on the topic. 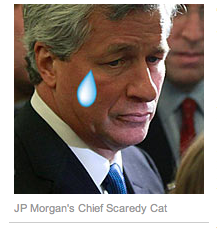 It’s not because Dimon is not passionate about the topic. Privately, Dimon and other JP Morgan exeuctives have been strongly making their case in Washington against starting a new agency, even one housed at the Fed, to monitor consumer protection in the banking business. But when White House Chief of Staff Rahm Emanuel called a top J.P. Morgan executive to ask for the bank’s support in creating a new consumer-protection agency, the executive—former Commerce Secretary William Daley—said no, according to people familiar with the conversation. His boss believed that sufficient consumer safeguards were already on the books. A bunch of legendary comedians got together to make a sketch, where the punchline is: "establish a Consumer Financial Protection Agency". It’s kinda a funny, but mostly because of the Darrell Hammond’s imitation of Clinton making sexual innuendos, and Fred Armisen’s impersonation of Barack Obama. It seems director Ron Howard was trying to find something to ‘do good’, so he chatted with the earnest and overeducated Elizabeth Warren, and decided consumer financial regulation was the kind of smart idea that would obviously work. After all, who’s against consumer protection? The CFPA tries to do what most regulators try to do: improve efficiency, eliminate waste, consolidate regulations,simplify regulations, protect consumers, and protect jobs! It seems banks are greedy and basically uregulated, leading directly to the 2008 housing crisis. There are seven government bodies already regulating banks, highlighting how incredibly naive this proposal is. If there’s a magic bullet for improving efficiency, etc., share it with existing regulators…unless you think that all the regulators have been captured by some interest group, which if true just means we are bringing in one more interest group to advocate why they should get a better deal. Here are a couple of stories similar to thousands playing out across the country, and tens of thousands more to come. The second article gets to the heart of the upcoming commercial real estate bust. 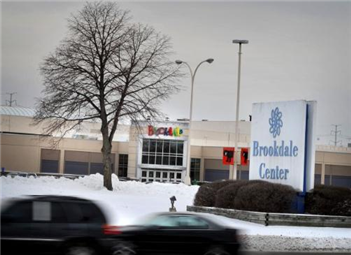 The Minneapolis Star Tribune is reporting Brookdale Mall sold at auction for big markdown. A sheriff’s foreclosure auction produced just one bid — from the mall’s mortgage-holders, who bid $12.5 million. Brookdale Center went on the auction block at a sheriff’s foreclosure sale Friday, netting just one bid of $12.5 million from the shopping mall’s lenders. The bid from Brookdale Mall HH LLC was well below the $51.8 million owed on a $54.2 million mortgage by the property’s owners, Brooks Mall Properties of Coral Gables, Fla.
Sears is its sole remaining anchor. In the last couple of years Macy’s, Barnes & Noble and Mervyn’s have all closed their stores. The mall also has lost other key tenants, such as Steve & Barry’s. Almost 60 percent of its space is vacant, according to recent figures from NorthMarq. The following story headline masquerades as a local (D.C.) problem but the real story buried in the article is a few select quotes from Elizabeth Warren. Please consider In D.C., more evidence that commercial real estate headed for foreclosure crisis. A mortgage crisis like the one that has devastated homeowners is enveloping the nation’s office and retail buildings, and few places are likely to be hit as hard as Washington. The foreclosure wave is likely to swamp many smaller community banks across the country, and many well-known properties, including Washington’s Mayflower Hotel and the Boulevard at the Capital Centre in Largo, are at risk, industry analysts say. "There’s been an enormous bubble in commercial real estate, and it has to come down," said Elizabeth Warren, chairman of the Congressional Oversight Panel, the watchdog created by Congress to monitor the financial bailout. "There will be significant bankruptcies among developers and significant failures among community banks."